Hi everyone! 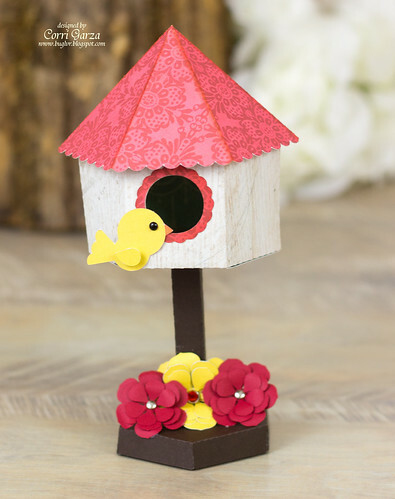 I'm up on Lori Whitlock's blog today sharing a quick assembly tutorial for this cute birdhouse. Lori includes several birdhouse in this set and they make great decorations for Spring. I used paper from the Echo Park - Jack and Jill Collection. I love woodgrain paper right now and this collection has two in it! I added a cute bird and some layered flowers to my birdhouse. These house are so cute and fun to embellish. Head on over to Lori's blog for more photos on the assembly.